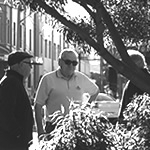 Areas close to where the suburb of Newtown was established, especially along Shea’s Creek and swamp and the Cooks River, show evidence of Aboriginal people’s presence. The bed of Shea’s Creek, excavated to create Alexandra Canal in 1896, has revealed traces of prior Aboriginal presence in the area. A stone axe was also located in a site close to the Cooks River near Riverside Park. Middens have been located along Cooks River too, as further evidence of occupation. Silicrete, a stone often used to flake tools, was found in Camperdown cemetery and Newtown when excavations took place in the 1980. This suggests, that it may have been used by Aboriginal people pre-invasion and after. Archaeologist Val Attenbrow, notes that it is not clear whether this stone was exposed or used, but the existence of pieces in the cemetery suggests it is at least possible. Roadways and paths Anita Heiss and Terri McCormack have stated that King Street in Newtown followed Aboriginal tracks, which were trading routes between farmed grasslands and fishing areas. A newspaper article from 1962 also argues that King St was an Aboriginal pathway, used by early explorers, but gives few other details. 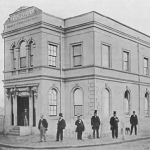 “Towards the end of September, two boats with provisions, tents, &c. were got ready, and dispatched round, under the care of Mr. Keltie, the master of the Sirius, by whom, and Mr. Blackburn, the master of the Supply, I was assisted in my work at Botany-Bay. A few gentlemen of the settlement having signified a wish to accompany me, the party resolved to walk over and meet the boats there; this route being now well known, and the path well trodden, it was not an unpleasant walk. We joined the boats about noon, and found our tents pitched…. The route from Port Jackson to Botany Bay later developed into a cart track and became the major route to the Cooks River. Kangaroo Grounds, Bulanaming & land maintenance Aboriginal people (Cadigal or Gadigal) created extensive grasslands through land management techniques in the area around Newtown. Kangaroo Grass was a major species of these grasslands. Watkin Tench, a marine of the First Fleet, who travelled inland on expeditions and recorded his experiences in the early days of the colony areas, commented on its presence near Newtown.Areas of Marrickville were reputedly known as the ‘Kangaroo Grounds’ as so many of kangaroos were observed by colonists gathering there. 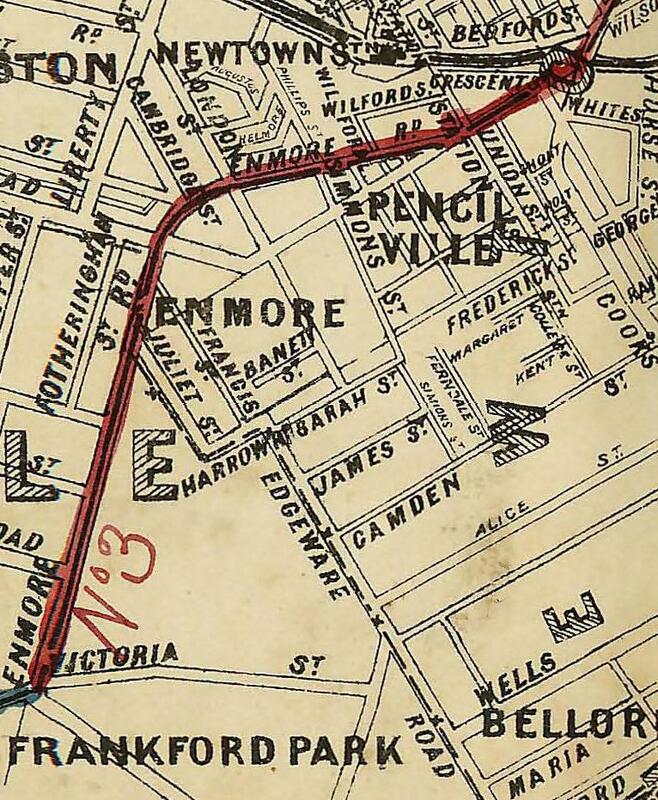 The area nearby, now known as Petersham was also known as Bulanaming. 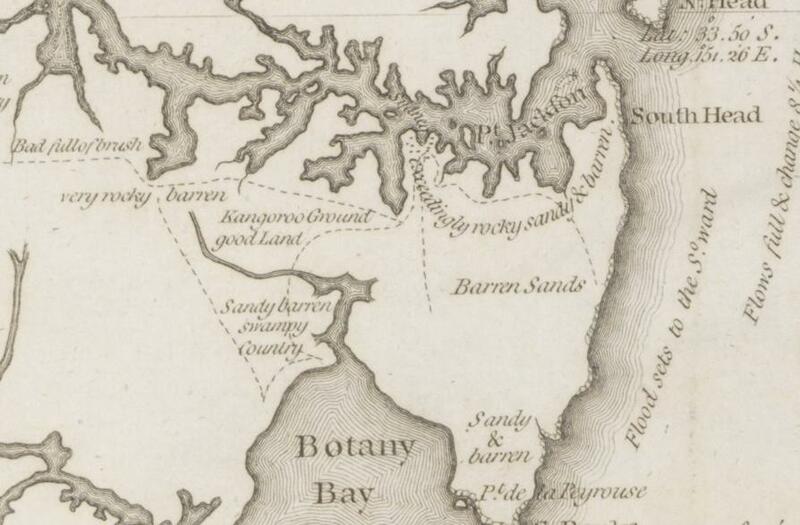 Tench mentions an area, a narrow strip called the ‘Kangaroo Ground’ between Port Jackson and Botany Bay, which appears on his map where the inner west would be. It was an area he crossed as part of a party sent by Phillip to take prisoners in response to the spearing and killing of McIntyre, the government gamekeeper. McIntyre, who was later speared by the renowned warrior Pemulwuy, had undertaken a five day expedition in March 1788, heading inland from Sydney. He killed a kangaroo, which he shared and ate with the Aboriginal people of the area. Karskens has interpreted this to mean that he was in the area of the Kangaroo Grounds around Petersham. Such grassy areas were maintained by Aboriginal people at least partly to encourage kangaroos to visit. It also made it easier for hunters to spear wallabies and kangaroos who came to feed on young grass shoots, as they could target them where they were known to gather to feed and find water. Some remnant kangaroo grass species have survived within the Camperdown Cemetery grounds. A couple of years after this Backhouse reported on the level of conflict between Aboriginal and non Aboriginal people in ‘remote parts of the colony’. 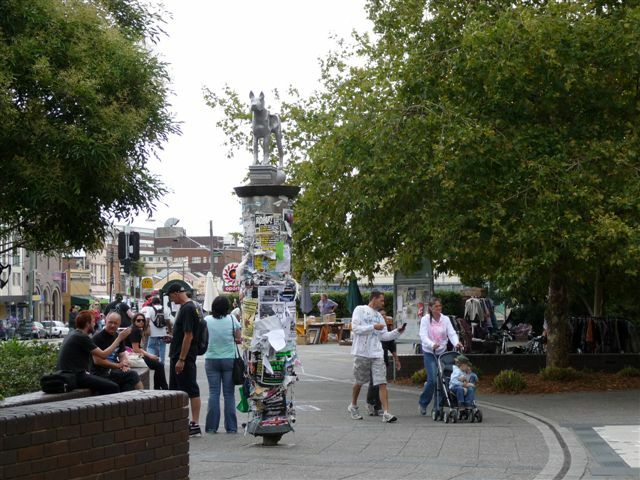 He also mentioned that several South Coast Aboriginal people were visiting the town (central Sydney), and commented on their drinking of alcohol. 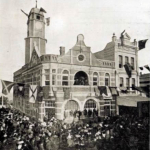 These South Coast people might have arrived in Sydney by coming up a route close to what is now the Princess Highway and South King St. Alternatively, they may have come to Sydney by boat. used for food after being carefully prepared to reduce poisonous content. The stream where Newtown Bridge now is likely to have been a fresh water supply for local Aboriginal people too. Not long after Backhouse’s visit to NSW, Alexander Brodie Spark, a merchant and landowner at Tempe, further down the Cooks River, recorded in his 1836 diary that all of his assigned servants (convicts) had been absent for the day, and one them said that he had been watching a “Corroboray among the blacks”. Unfortunately no other details are given by Spark, who seemed dubious about any of the reasons provided by staff for their absences! Karskens notes that until the 1850s at least, Aboriginal people were living on land to the South of what is now Newtown, at Botany Bay and on the Cooks River. Aboriginal people were still using the swamps to access fish, birds and other resources until at least the 1820s when land grants occurred. It is quite possible that they continued to use these resources of country there until industrialisation and suburbanisation intensified. Sometimes, even though land was granted, it was not always used intensively immediately, or wasn’t fenced, so people could probably still access it.